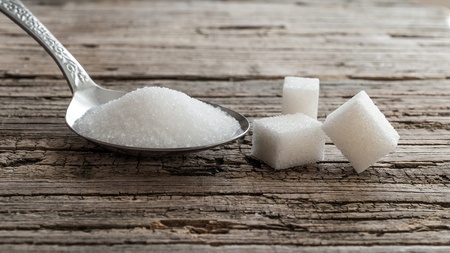 We all know how important it is to reduce our sugar intake. What we are often oblivious to is how much sugar there is hidden in the foods on grocery store shelves. For example, the average bottle of salad dressing contains 6 grams of sugar per serving. Fortunately, there are ways we can easily cut back on sugar while also enhancing the taste of the foods we eat. The first step is to make your own food from scratch. It’s really not difficult, and the taste and health benefits are ample reward. Just get creative. Learn about and add some new ingredients. 1. Make your own salad dressing. A tasty recipe is 1/3 cup apple cider vinegar (a very healthy food), one tablespoon Dijon mustard, one tablespoon cold pressed extra virgin olive oil, and the juice of a whole lemon. This dressing is delicious on any blend of greens. Keep balsamic and apple cider vinegar in your pantry, along with a high-quality olive or cold pressed flaxseed oil, to try a variety of combinations. 2. Try new herbs and spices. Whether you opt for dried spices in the cabinet or fresh herbs in the refrigerator, keep a variety on hand. Try basil, coriander (or cilantro), sage and mint, as well as cinnamon, cumin and tumeric. Tamarai sauce is a gluten-free alternative to soy sauce. Like miso paste, it lends an Asian flair to dishes. Kimchi offers an infusion of heat. 4. Create your own homemade pesto. Take some of the basil in your fridge, combine it with heart-healthy walnuts, and blend it into pesto far superior to anything you can buy in a store. It’s a healthy addition to fish, chicken or pasta. 5. Whip up some guacamole. Avocados are packed with heart-healthy omega 3 fats, and no sugar. Mash a ripe avocado and mix with chopped red onion and cilantro. For a fancy touch, add pomegranate seeds. As you wander the grocery aisles, read the labels of your favorite foods. You will be surprised to find how many you can make at home, without all the added sugar. As a sugar consumer I think those are truly dumb ideas. I guess I’ll stick with doughnuts. Those alternatives are disgusting. Agree! Nothing can replace dark chocolate!